# * Improved! Unique technologies for scan of processes in the memory and excellent curing capabilities allow installing Dr.Web onto the infected system without its preliminary curing. # * High probability of a successful launch of the scanning process in an infected system without installation using a removable media. 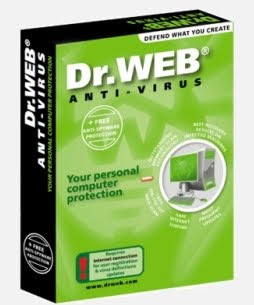 # * High-performance Dr.Web scanner scans boot sectors, RAM, hard and removable drives, detects and disarms viruses, Trojans and malware of other type.